This firmware is only for Xiaomi Redmi Note 3 smartphone with Qualcomm Snapdragon 650 MSM8956 as CPU. Download MIUI 8 Global Stable ROM V8.0.5.0.LHOMIDG Fastboot version for Xiaomi Redmi Note 3 smartphone from here or here. Download MIUI 8 Global Stable ROM V8.0.5.0.LHOMIDG Fastboot version for Xiaomi Redmi Note 3 smartphone from here or here. Download previous firmware from here. 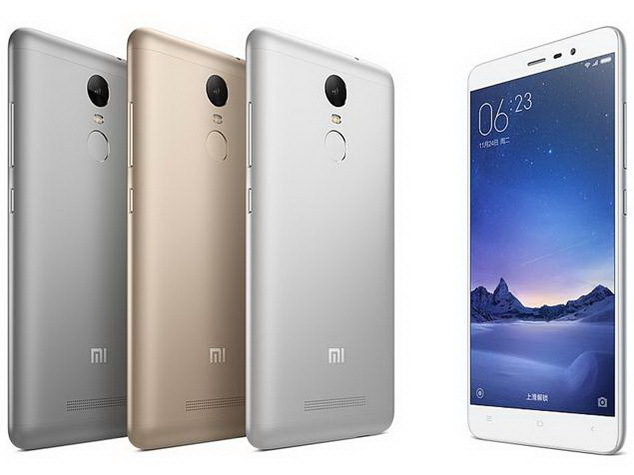 The Xiaomi Redmi Note 3 is a smartphone developed by Xiaomi Inc. It is part of Xiaomi’s low-end smartphone line, and was released in November 24, 2015. Xiaomi Redmi Note 3 was equipped with MTK Helio X10 octa core processor, 5.5 inches 1080p screen, with 2GB / 3GB of RAM to run, and 16GB / 32GB storage in two versions, with front-5mp, 16 mega pixels rear camera, running on MIUI 7 system. The Snapdragon Edition (Pro Edition) of Redmi Note 3 was launched in India on 3rd, March 2016 after China. The launch event was held at Delhi’s Talkatora Indoor Stadium, Hugo Barra, the vice president of Xiaomi gave the speech. Redmi Note 3 is the third “Made in India” Mi phone, the previous ones are Redmi 2 Prime & Redmi Note Prime. Redmi Note 3 comes with Snapdragon 650 chipset, 2GB RAM,16GB eMMC 5.0 Flash, 4000mAh Battery and a 16MP back camera plus 5MP front, price starts from Rs 9,999. Another Version with 3GB RAM and 32 GB memory is also available at RS.11,999. Both versions went on sale in Malaysia and Singapore from 6 April 2016 onwards.